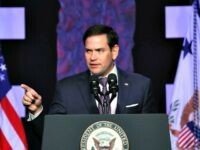 Senators call on the U.S. government to block Huawei from U.S. energy market just as it has the U.S. telecom market. Don’t believe the hype from the increasingly desperate renewables industry: solar power has crashed and burned. 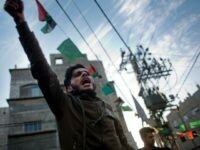 Israel has approved a plan to build a solar field in Israel to pump power into the Gaza Strip and ease the electricity crisis in the Palestinian enclave, an Israeli newspaper reported Tuesday. 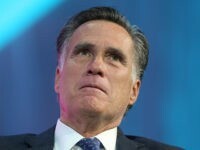 Don’t laugh too hard but this has been a terrible week for the renewable energy dream. 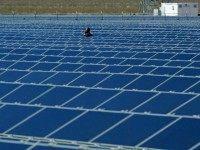 Across the world solar energy share prices have crashed. This was caused by a sudden and unexpected decision by China, the world’s biggest solar manufacturer and user, to rein in subsidies. 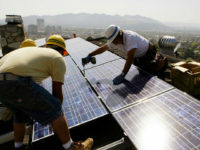 A California regulatory board has passed a regulation that will require all new homes built in the state to be powered by solar panels. 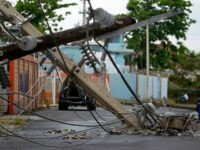 The U.S. Justice Department is reducing the huge backlog in the immigration courts by using video-streaming to enable U.S. judges in Puerto Rico to oversee cases in mainland courtrooms, despite the huge damage inflicted on the island by recent storms. 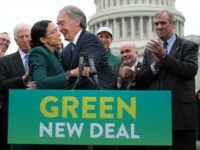 California unions killed the Democrats’ last-minute push to force the state to adopt 100 percent renewable electricity production by 2046, over worries the nation’s highest utility costs are killing jobs. 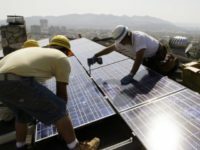 The Department of Energy announced last week that American taxpayers are providing millions of dollars to develop solar power projects across the country, including funding for seven companies in California and $2 million to a solar business in Texas, home of Energy Secretary and former Texas Gov. Rick Perry. 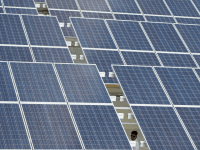 A new investigation into crystalline silicon photovoltaic cells may result in increased tariffs on solar panels imported into the United States. 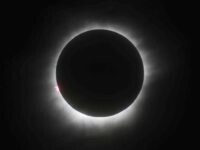 The August 21 total solar eclipse will be the first visible across all of the continental United States since March 7, 1970. 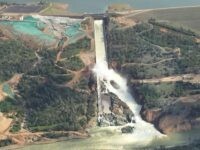 The Federal Energy Regulatory Commission (FECR) forensic audit of the Oroville Dam Spillway crisis project found that failures were due to inadequate California Department of Water Resources (DWR) maintenance, repair of cracks, thin concrete slabs, poor drainage, and use of weathered rock. 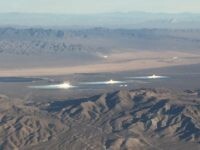 The BrightSource Ivanpah Solar Electric Generating Facility, which uses 320,000 mirrors to create thermal energy, still qualifies under state rules as an alternative energy source, despite using about 1.4 billion cubic feet of natural gas a year, according to a report by the Press Telegram. 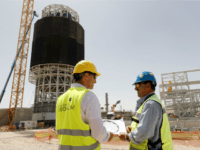 Deep in the Negev desert in Israel, stands what will be the world’s tallest solar tower. Once complete, the tower will be 250 metres tall and encircled by 50,000 heliostat solar mirrors. 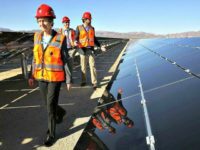 Despite the U.S. Congress passing the Consolidated Appropriations Act in December 2015 to slather another $9.3 billion of taxpayer credits on new solar power added to the electrical grid, California solar installments peaked in 2015 and are now headed south. 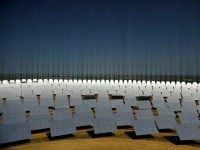 Israel is planning a tender for building its largest ever solar power facility, which will have a capacity of up to 500 megawatts, in the southern Negev desert. A leading solar power lobbying organization’s promises of growth in Texas continue to sit under a cloud of economic challenges. Amid cheap natural gas prices and established wind farms in much of the solar-friendly regions, solar panel arrays are proving a tough sell. 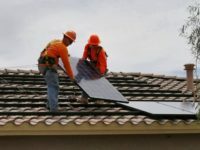 Worried about self-preservation, and acting in its own best interest—rather than that of consumers specifically, and America in general—solar industry groups have sprung up to defend the favored-status energy policies and attack anyone who disagrees with the incentive-payment business model. 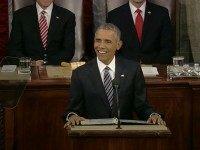 President Obama went after climate change skeptics on Tuesday during his last State of the Union address. 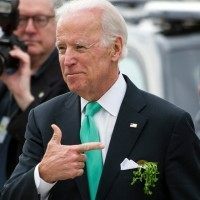 Vice President Joe Biden made an earnest plea to the world–and the GOP debate–to take climate change seriously on Wednesday, calling it “absurd” that there was a debate over man-made global warming. 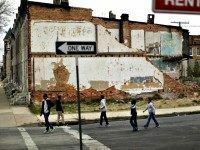 On Tuesday, the White House announced a new plan to subsidize the expansion of solar panels for low-income homes in Baltimore. 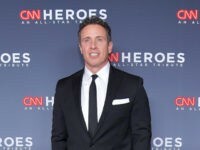 When Tesla Motors Inc. CEO Elon Musk unveiled a line of home and commercial battery packs a week ago, he said Tesla was “trying to change the fundamental energy infrastructure of the world.” Although the system Musk announced was better than the competition, the cost was assumed to be too expensive except for home solar systems. But now it turns out that Tesla’s new batteries do not even make economic sense to back-up rooftop solar systems–at least not yet. 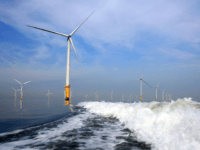 The year 2015 may go down as when support for renewable energy flipped. Policy adjustments—whether for electricity generation or transportation fuels—are in the works on both the state and federal levels.